The biggest common underlying risk – both societal and economic to the world’s oldest ‘melting pot’ where diversity has kept diversifying in the last 5000 years – is the insensitivity towards inclusivity. The voices the BIMTECH team attempted to unearth from a specific geography only vindicate this. Basis the findings, we reached out to women leaders of eminence to seek their perspectives. The study also captures the pearls shared by the leaders. We believe these also constitute a significant risk management protocol on D&I for any well intentioned corporate wishing to de-risk its culture. – Mr. Praveen Gupta, MD & CEO Raheja QBE General Insurance Co. Ltd.
For ages men have been holding/occupying top corporate positions but in the last two decades we have seen a slow but steady rise of women in these roles. Even though men continue to constitute a very high percentage of the workforce and almost monopolise leadership positions, every industry is beginning to recognise the contribution of women leaders. 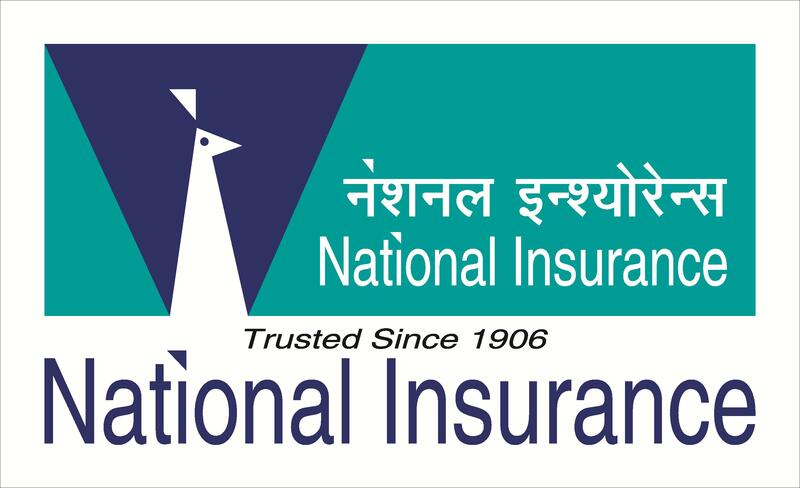 In this joint project of Insurance Business Management, BIMTECH and Raheja QBE General Insurance Company Ltd, basis the survey carried out analyse the risks faced by women leaders across the entire spectrum of businesses in the National Capital Region (NCR). An attempt has been made to understand their views on gender inequality, its prevalence and awareness on various aspects of risk management including risk transfer. The starting point was top leadership roles in the public and private sectors. Given the lukewarm response it was decided to expand the scope of this study. Needless to mention that as a country we are a “United States of India”, perhaps the world’s oldest melting pot – with a significant variation in culture and practices across its length and breadth. Views of three experts were sought. Ms. Sonu Bhasin a corporate leader, much sought after independent director and author of The Inheritors: Stories of Entrepreneurship and Success; Ms. Suman Joshi a Diversity & Inclusion expert with over three decades of HR leadership particularly in the ITES sector predominantly out of South India and Ms. Carissa Hickling a Canadian by birth who has for last three decades made India her home. Carissa currently leads a global talent management role for Siemens, based out of Mumbai. Those get woven here to bring about the multiplicity of nuances in play. Rather than just presenting an isolated parochial set of findings. Who were reached out to? Boards (WCB) Mentorship Program aims to enhance the gender balance and increase the effectiveness of corporate boards. A unique voluntary programme – one of its kind in the world – it genuinely fosters mentoring, passing on valuable corporate governance experience from experienced board members to women leaders starting their board career. Together with the WCB, information management specialist Institutional Investor Advisory Services (IIAS) no too long ago released a report, titled Corporate India: Women On Boards. The IIAS is a SEBI-registered proxy advisory firm. While limited to Nifty 500 companies, the study is a kind of performance report on their evolving diversity. The telecoms, IT, healthcare, utilities and industrial sectors have a higher than average proportion of women directors, with the energy sector at the lowest end on 8.9%. Average tenure on boards for women directors has been 4.6 years, compared to a much higher tenure of 9.0 years for male directors. This is largely due to the fact that many women directors came onto the board only after the Companies Act 2013 came into effect. A large majority of companies (485) are compliant with regulatory thresholds. Some 107 companies have exceeded the quota of one-woman director on the board and four companies had four women directors on their board. Fifteen companies in the study did not have a woman director on the board on 31 March 2017. Of those, 11 are public sector undertakings (PSU), where the appointment process is delayed due to pending approvals from the relevant ministry. In widely-held companies where there is no discernible promoter or promoter entity, the proportion of woman directors is the highest at 14.3%. This is not surprising, considering that most of these companies are from financial services, with high institutional ownership. Once again, PSUs trail behind, with only 11.9% female representation. There are only 98 promoter women directors (16%) in the NIFTY 500. Of this set, 50% are executives and are driving the company in a leadership capacity. The report highlights that the latest data invalidates any concerns that a sizeable portion of new women directors belong to the promoter family and are being appointed in a non-executive capacity just to comply with the regulations. This implies that bulk of the women getting appointed have professional experience and expertise – which suggests companies are not paying mere lip service to the regulations by promoting family members but have internalised the legislative intent of the mandated thresholds. Where is India lagging ? Just 3% of boards are headed by women (as chairperson) and women directors now account for 7% of executive directorships in the NIFTY 500. This is comparable to European markets, where 4% of chairpersons and 7% of executive directors are women. But where India falls behind is independent representation – only 16% of independent directors in India are women, compared to 34% in the STOXX Europe 600 Index. Only 21% of NIFTY 500 boards have two or more women, compared to more than 80% in some other markets. On average, India has 1.2 women directors on boards, which is significantly less than its European and US peers. Even on committee memberships, women directors are under represented in India. To ensure boards have at least one woman independent director in the next 18 months. To achieve 20% female representation by 2020. The report notes that the MSCI World Index, with strong female leadership (at least three women directors or female representation higher than country average), generated a return on equity of 10.1%, versus 7.4% for those without. An attempt was made to contextualise this within one of the most dynamic economic zones of India, the NCR. The endeavor was to explore if there remains a glass ceiling and how hard are women leaders finding it to break? Whether capable women business leaders were running into a dead end? Via these findings an exploration was attempted as to how and what the women who made their way to the top, had to unravel. About their journeys, experience and the true colors that remain to be defined concretely. However, not all those originally approached were forthcoming despite being assured anonymity. So this study was expanded to also include startups and small businesses. That is where one can see hope and light at the end of the tunnel. (This represents various sectors the women leaders interviewed were from). In all 650 corporate leaders were reached out to. It was a mix of listed, unlisted and start-ups; spread across the chosen geography. 165 who were met – shared respective insights into their journeys and the barriers faced. Moreover, an attempt was also made to understand the trends and patterns observed by them in the inclusion of women at the top of the rung. While each one had their own unique story, certain repetitive patterns in each of these were observed. Brief pattern of the challenges and the motivating factors through the interviews with these leaders have been encapsulated. To ascertain whether they faced gender inequality in their line of business. To determine activities which promote the cause of environment, society, governance (ESG) and employee retention? To understand the nature and gamut of varied dimensions of risk vis-a-vis women corporate leaders. To ascertain whether corporate woman leaders comprehend the implications of various liability risk transfer solutions available in the market. There is no gender inequality felt by the women corporate leaders. 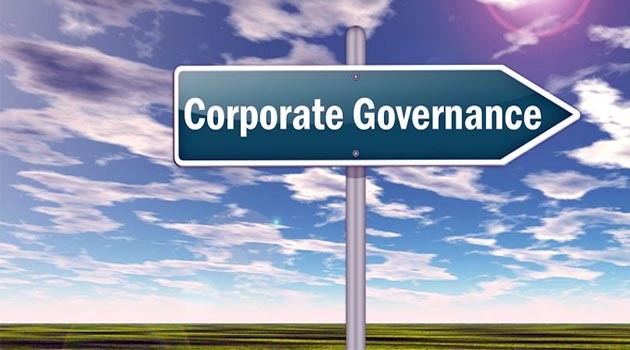 Corporate decisions do not hinder the governance, the course of environment and the growth of employee relations. Most corporate women leaders are aware of varied risks faced by them. Most leaders understand the implications of various liability risk transfer solutions available in the market. 1. Gender based discrimination: Showing a sense of lack of confidence in the women counterparts which subjects them to being disrespected, harassed and thereby not recognising their capabilities of taking a leading position in an organisation. All due to the sheer fact of ‘being a woman’. Trust Deficit: The employees of the organisation are not able to trust the capabilities of handling the duties conferred to the “lady in-charge” 57 interviewees observed that they have been considered less trustworthy to complete a task which they were very much capable of doing. Sexual Harassment: Causing mental trauma to the woman concerned, in terms of passing lewd comments, sexist jokes and usage of inappropriate language. 22 interviewees faced incidents of sexual harassment at work, 21 interviewees have not faced any such incidents and others were not sure about it. The experts we ran this past had serious doubts about low numbers conceding to this vulnerability. Sexual Abuse: Causing mental trauma to a woman by practicing inappropriate behaviour which is against the consent of the person and includes sexist gestures which may include inappropriate physical contact. 62 out of 86 interviewees confessed that they were sexually abused at work. Lack of Reliability: Lack of trust or being dependable in achievement of organisational goals basis the gender. 60 interviewees believed that they were considered less reliable as compared to their male colleagues. Non-cooperation: Failure or refusal to cooperate, especially as a form of non-participation or disobeying tasks given to employees, as the male employee feels taking orders from a woman is not worth. According to 65 interviewees, their male colleagues were non-cooperative with them at work. Isolation: Not including in the official activities, major decision making and structural roles or making a woman feel invisible when she makes changes or suggestions with respect to the leadership position she holds. According to 64 interviewees, their male colleagues made them feel invisible at work and as a result they felt isolated. According to 53 interviewees, male employees are given more salaries and benefits than female employees. Networking: Making corporate relations, for instance, staying with colleagues half an hour after the office hours rather than rushing home. According to 82 interviewees, networking or building connections is the key to survive in the corporate world. Day to day work becomes much easier and effortless if one has good and stable relationship with other employees. Multi-tasking: The ability to handle more than one project at a time. It is not restrained to being able to handle home and office. All the interviewees believed that you must be good at multitasking in order to move up the corporate ladder. If one is not good at multitasking than one could become dead wood. Importance of acknowledging others: It is related to ability to give due credit to the team and members. Appreciating the work for individuals and acknowledging them. According to 84 interviewees, it is very important to acknowledge others at work as it strengthens relationships between employees. Thoughts on success: It is related to mindset, as to how success comes to a woman. Is it same as that for the other gender, or is it harder to earn? According to all the interviewees, success is always hard earned. It takes a lot of effort and perseverance to be successful in life. Thoughts on women safety: It is not only restricted to understanding the importance of women safety but also the proactive steps taken by the women for making the workplace better and safer. According to 84 interviewees, women safety in India is very poor and serious steps or measures should be taken to improve the same. This will further promote female education and female employment and will make our society a better place to live. Second Guess: Rethinking on themselves as being capable of worthy of taking a position or role before getting the role. 80 interviewees accepted that they tend to rethink about the situations before taking major decisions. Corporate Social Responsibility: Believing in the importance of CSR and making efforts towards improvement of the society. 73 interviewees have worked towards corporate social responsibility and consider it a great opportunity for contributing towards the society and improving their company’s brand value. Thoughts on negotiation: Negotiating for their positions or benefits which they rightfully hold and are not getting them. 81 interviewees believe that in order to maintain peace and harmony at work, it is important to negotiate. Balance between personal and professional life: Ability to achieve work life balance. According to 84 interviewees, a balance between personal and professional life should always be maintained as it improves the efficiency at work and enjoy life at the same time. Reducing Attrition Rate: Any effort or special steps taken by them as leaders to reduce attrition? According to 77 interviewees, they have taken certain steps to reduce attrition rate. They try to become more flexible at meeting their targets by opting for in-house working schedules. SWOT Analysis: Identifying the strengths and weaknesses of the organisation through SWOT analysis or other similar techniques. 79 interviewees had no idea about their risks and had never undertaken SWOT analysis of their risks. 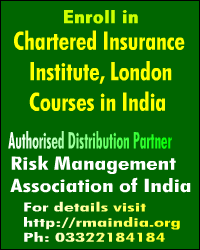 Risk Engineering and Risk Management: Compliance with various risk mitigation techniques in-order to reduce the risk adversities that might be faced by an organisation. 82 interviewees had never taken services related to risk engineering or risk management. Women’s interest in high risk business: Women have a tendency to be averse to business propositions that are prone to greater risk. According to 72 interviewees, women get involved in low risk businesses as it ensures stability. 76 interviewees had very less knowledge of liabilities with respect to their position or designation. 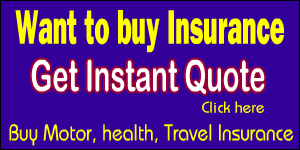 Insurance Awareness: Awareness about the various insurance solutions available in the market. 84 interviewees were aware of insurance and major lines of insurance business- life insurance, health insurance and property insurance in particular. Insurance awareness related to business: Awareness about the various insurance solutions that protect the interest of an enterprise against the risks faced. 74 interviewees had partial knowledge or awareness of insurance solutions related to their respective businesses. Awareness of liability insurance: Awareness about the various liability insurance offerings that help in protecting the interest of the enterprise. 79 interviewees had no clue about liability insurance and its significance in risk mitigation. 81 interviewees had no clue about cyber insurance and its increasing significance in businesses including technology. Awareness of reputational risks: Awareness about reputational risks to both the organization and individual and its concerned repercussions. 71 interviewees were not sure whether they are fully aware of reputational risks or not and the extent to which it could damage their business. “I have seen women hesitate to take a risk because they fear failure. That’s a strong factor that comes in their way to success”. The challenges as a young female entrepreneur in a male-dominated and somewhat patriarchal industry: “I had to struggle moving from ‘just a young woman with a fancy degree’ to earning respect as a ‘businesswoman’. The best way to overcome this was not to take it personally but gain the respect and trust by letting my work speak for itself”. Believe that this is addressable with little to no compromise. Makes you solution-oriented rather than defensive or apologetic. As you become more objective and clear in articulation, it becomes easier for spouse and family to sign in and co-own the solution. Gender stereotypes: “As the managing director of my company, for several years, my ‘well-wishers’ said that the diamond business was cut-throat; therefore, there was no place for the fairer gender. I openly condemned the influx of blood diamonds into India and was advised to back off from such ‘bold’ actions since ‘it wasn’t my place’. I never let stereotypes stop me then, and I continue to battle them every day”. “Today, as a full-time mother and entrepreneur, people often ask me how I’m managing the ‘impossible task’ of juggling Healthhunt, my startup, and my little one, Aramnaya.” She further said that a career was not a woman’s nemesis, and motherhood and an active career could beautifully complement each other, provided women purged themselves of the stereotypical notions pertaining to the roles each gender was supposed to play. “I feel my challenge is more internal than external. Two things in particular, stand out for me personally. The first is a cautious approach. I prefer to weigh my next steps keeping in mind that it would have consequences on people, money, time, and effort. Go Big or go bust is not a personal philosophy! I’d prefer to scale as the business grows. While I may set my sights on X, I often hear of my male counterparts talking in terms of 100X.” “Surrounding oneself with colleagues and external partners who complement their limitations is a great way to break out of one’s comfort zone”. One must not think of ‘woman’ entrepreneur or ‘man entrepreneur’ rather just as an entrepreneur, who also happens to be a woman. The challenges are the same with people of both genders. Being an entrepreneur brings its own set of challenges – reaching out to investors and consumers, setting up the production unit are all a challenge. But I was backed by a strong and supportive team that made all this happen.” She further added that women should not expect anyone else to fight for them. “There are no handouts. You will have to stand your ground. I will work, travel, miss family events as much as my husband or my father. Having said that, as a working mother, I do find myself making adjustment to other people with kids and more so with working mothers,” revealed the entrepreneur. “I am a firm believer of the fact that higher the risk, higher the return. I have taken a lot of risks in my startup as well and I am sure it will be fruitful,” Jha, the founder signed off optimistically. Manjula Chawla, a senior partner co-founded Phoenix Legal in 2008 with three partners – all well recognised in the field of corporate commercial and finance laws. She has been actively involved with various legal, business and social committees. Her practice concentrates in the areas of strategic corporate investments, corporate finance and restructuring, mergers & acquisitions, joint ventures, and general corporate and commercial matters. “The low level of awareness about liability insurance was a disappointment. For me, it is such a ‘given’ that one evaluate risks and this be included that I suppose the best way to evaluate this part of the study is the opportunities to educate that it represents” says Ms. Carissa Hickling. To Ms. Suman Joshi “The findings here suggest that a large number did not even choose to participate in this exercise despite the anonymity. Yes, assertiveness, negotiation skills, networking are some areas that women need to work on and some companies create opportunities to help them do it through mentoring, exposures etc. I am surprised women not wanting to participate despite anonymity”. “I wish I could say I was surprised – far from it, says Ms. Hickling. “The discrimination dimension was and remains a clear factor all women face. The ‘gap’ factor – either if taken for pregnancy and child care or anticipated as young female employees are overlooked for opportunities as it is assumed they will be family focused – is one I’ve many times witnessed”. ‘Anonymity is not trusted in a climate like India where data privacy is more an ideal than a reality. I also found when a friend wanted to conduct a study interviewing a diverse spectrum of women across Asia Pacific, India respondents were the most reluctant to participant and to do so with honesty and frankness’, adds Carissa Hickling. That there will be an inherent regional bias was an accepted fact. “North India, especially the Delhi – Haryana -UP belt does have some unique features. The West and South have a different work culture. That said, the basic attitudes around these matters remain the same. It is the manifestation of them that differ region to region, observes Ms. Sonu Bhasin. Carissa Hickling had her own views. “To be honest, I wouldn’t want to speculate without data from different geographies. From anecdotal conversations, I would think Mumbai may have a more assertive take with perhaps a few more women in leadership positions being both more forthcoming in their participation and bold in their approach. Bangalore may be somewhere in between”. “Some aspects surprise me since I did not see or face these”, says Suman Joshi. “Also being in HR I know how management thinks and I am aware of the proactive steps taken by companies to ensure more women recruits, ensure a safe working environment, create examples and women role models who could mentor other women, track managers with least number of women team members quitting etc. In IT industry, professional atmosphere and respect and safety are paramount. The proactivity of management in ensuring all employees understand what the values are, how they are brought on the same page, how issues are addressed, all have gone a long way for women to feel safe and not feel professionally less than men. The example, that women managers find it difficult to get work done through males, I have just not come across…it just does not happen”, she added. In response to – Is the behaviour emerging in this survey dominant in specific industry segments? Ms. Joshi has very strong views on how it works for the new age sector – “Definitely not IT and may not be other new age industries too. It could be in industries with very few women or women only in junior roles. Published Research says that when there is less than 30% minority they become tokens and unable to drive changes. Hence IT being more progressive you will notice that those organizations with greater than 30% women make sure the brand name is heard”. “One can listen to many, but final choice is one’s own”, according to Suman Joshi. “Women should follow the path of their calling whether in companies or on their own. Sometimes the path may not be clear and sometimes they may change course. But the choice is theirs and they will be better off for making the choice and learning and arriving at their own conclusions. Different things work for different people, whether men or women”. “Affirmative action has been tried in many different guises and markets around the world. Does it help? Yes. Does it facilitate real change? Only when other elements also come into the ecosystem to strengthen it beyond lip service or backlash, is it expected to work”, believes Ms. Hickling. She goes on, “Mandating pushes at least a “token” seat for women and it is positive to see progress. However the deeper challenge is doing so on equal footing where merit ensures naturally above the minimum, participation in key committees that shape strategic direction and even more importantly improvement in the number of women holding the central Chairperson position”. As to whether it is any different in family run businesses? “The situation in family businesses is changing with respect to initiating the women into the business. However, in most cases it seems to be driven by the fact that there are no sons in the family”, quips Ms. Bhasin. The survey was carried out way ahead of the onset of #MeToo. Nevertheless, expert insights were sought. “The movement is not a solution. It is a way to highlight the problem. However, it is important to articulate the problem as it is only then that solutions can be talked about”, believes Sonu Bhasin. “That is indeed a ‘minefield’ topic, according to Carissa Hickling. She adds, “My take is #MeToo was much overdue and will go through several different stages before hopefully settling into a ‘new normal’ where the climate is less accepting of unacceptable behavior”. “History tells us that small acts sometimes lead to a big movement and this is one such. It is good we have reached a stage where women feel confident to come out”, feels Suman Joshi. That families would prefer their daughters and daughter-in-laws be self-employed rather than work for companies, was an eye-opening revelation from the survey. There were many instances of what Ms. Hickling alludes to businesses around ‘discussion boards for brides’ and ‘health checkups’ for instance as the ‘Pink Ghettos’. And that it is alive and well and flourishing in India, she says. So there is a ray of hope. Something, therefore, seriously needs to be done to spruce up the corporate culture to make it really conducive for women to work and move up in significant numbers. The business press has been abuzz with the merits of how handy the Director & Officers Liability insurance is in the world of #MeToo. D&O cover is neither a means of prevention nor a cure for this malaise. It should be the last line of defense. A judicious risk management programme ought to first address what corporates as employers can do by themselves. The need, for instance, for a robust ongoing mentoring protocol comes out loud and clear. The NCR being a significant growth triangle in the national economy this situation ought to be a dominant concern. The survey findings represent a strong headwind and an inherent inertia that could cause social tensions as well as derail the overall national pace of economic growth. Needless to mention the deficiencies in understanding of risk management practices and the risk transfer mechanism call for a shift from the existing transactional product centric approach to something more meaningful. All stakeholders need to revisit the possibilities.